Listed here are a few computer accessories that are either necessary to college success, or will come in handy for modern learning; more professors are now using digital formats, web applications, and remote instructing, so it would be wise to look into extra peripheral equipment for your PC. 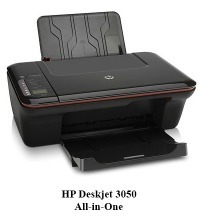 Laser printers might be faster to print, but they are way more expensive than inkjets. 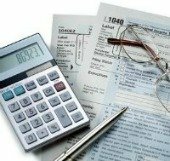 You will be also spending more in the long run because ink is cheaper than toner as well. From a college student's standpoint, go with the inkjet. All-in-One printers can be just as cheap as the basic ones (just printing) now. If you decide to go with the inkjet printer, know that those all-in-ones have copy/scanning features. With scanning you can add paper images, text excerpts, and Word to PDF file transformation. The laser all-in-ones have a bunch of other features, such as faxing, but are very expensive. If you end up going with inkjet, they're all color now anyway. Take my advice and don't print color unless you have to - ink is expensive! Take advantage of cartridge filling services as well, they will save you a bunch of money in the long run. Find cartridge fillers at Cartridge World, photo shops, or office supply stores. Classes that utilize web conference software will require you to own a webcam. In my opinion, the built-in webcams for laptops have higher quality video/audio than what you can buy in the store. If you don't own a laptop, than I would strongly suggest not to go cheap on this piece of hardware. The bargain webcams have embarrassingly low video quality. 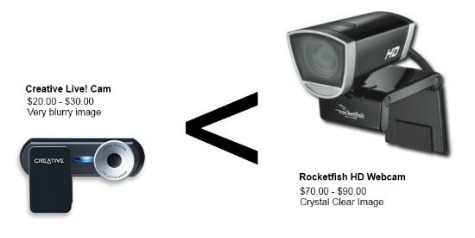 Quality webcams can run $70.00 and up, but you can pick up the better brands online for much less. When video isn't required for remote instructing, a headset with a microphone will be. If you have a built-in webcam for your laptop, then you will be able to get away with the audio input on that; otherwise, a "cheap" headset will be good enough. Audio clarity is much easier to achieve, even with bargain bin products. Flash drives, AKA thumb drives, are so cheap now there is no reason NOT to pick one up. Every college student should have at least a 4 GB flash drive; I think they sell them now for like $4.00 retail. Flash drives are far more reliable than saving your coursework on your computer's hard drive and you can take it everywhere you go. If you're prone to losing small things like flash drives, I suppose there is a way around using one. If you want your coursework on any computer you're working on, but don't have a flash drive, you can send your documents to yourself via email. The documents will be kept on your email provider's servers. Then again, I would suggest to pay the $4.00 for a flash drive anyway, just for the sake of convenience. If you got the extra cash, you can pick yourself up a USB external hard drive. These things are a piece of cake to set up and can hold a lot more than a flash drive. You can fit every single homework assignment, a few hundred pictures, and a couple movies on these things and still have room for more. Retail ones will run you at least $50 though, and they're not really a substitute for the portability of flash drives. Not a whole lot of people use these, and they're missing out! Putting a laptop actually on your lap can cause a few undesirable issue:. First, you get sweaty in all the wrong places. Secondly, and probably more importantly, there is the possibility that your laptop will overheat from improper air circulation. Fix these problems with a laptop cooling pad. Most (if not all) of the pads are USB powered, which means that it will draw power from your laptop battery. Yes this means that your battery will drain faster, but you just plug in your laptop while you're using it. You can pick up these up at Best Buy (or the like) for $15-$50, though you can find the quality ones for much cheaper online.